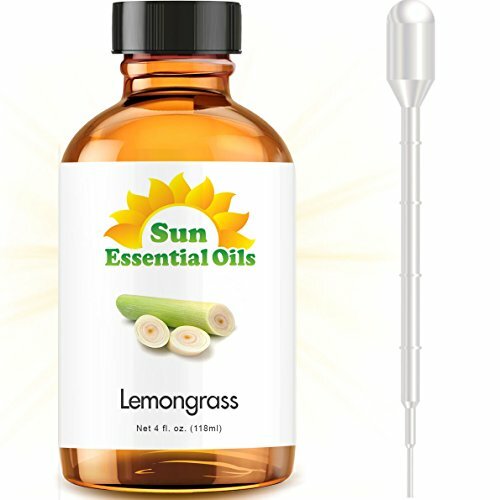 Lemongrass in a 4oz glass essential oil bottle. Comes with pipette for your convenience. SUN makes the BEST quality PREMIUM Aromatherapy oils and has OVER 100 SCENTS.